Access to downloads is for pre-approved media clients only; ALL images must be purchased or licensed for usage. 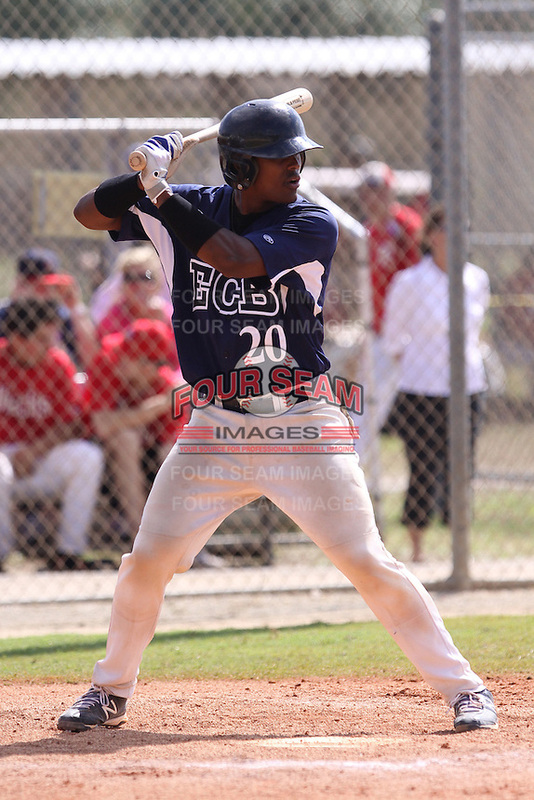 Brian Navaretto, #20 of Arlington County Day High School, Florida playing for the East Cobb Baseball during the WWBA World Champsionship 2012 at the Roger Dean Complex on October 28, 2012 in Jupiter, Florida. (Stacy Jo Grant/Four Seam Images).